Dr. Chen Yan graduated from Tongji Medical College of Huazhong University of Science and Technology in 2002. She received her Ph.D. in immunology from the Faculty of Life Sciences at the University of Manchester in 2008. She studied for a postdoctoral degree at the University of Southern California and the University of California at Loma Linda. Dr. Chen is a member of the Chinese Chapter of International Hepato-Pancreato Biliary Association (IHPBA) Metastatic Hepatic Cancer Section, and a member of the Society of American Gastrointestinal and Endoscopic Surgeons (SAGES). She has published more than 10 articles in internationally renowned journals. She has had internships at USC Norris Cancer Hospital, Manchester University Faculty of Life Sciences, Vanderbilt Medical Center, UCLA, Washington University School of Medicine, Griffin Hospital, Griffin Memorial Hospital, Tennessee Valley Health Care System, Loma Linda University and many other internationally renowned medical institutions and obtained a Florida medical license. After returning to China, she worked at the Department of General Surgery, Tongji Hospital, Wuhan City, Hubei Province. She is currently an associate professor. She is an expert in the diagnosis and treatment of thyroid cancer, breast cancer and other general surgical fields. 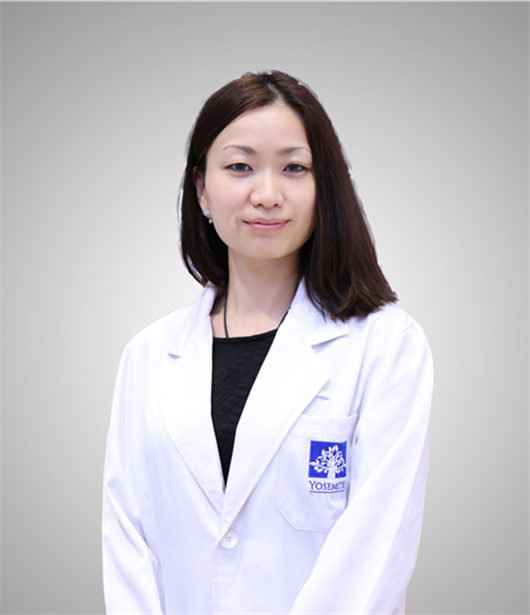 Dr. Chen specializes in various surgical procedures, such as total thyroidectomy, modified radical mastectomy, Graham patch repair, inguinal hernia repair, and ileostomy, etc.